A Leader in Mobile App Development. Our work speaks to our ability to deliver compelling mobile experiences that your users will love. 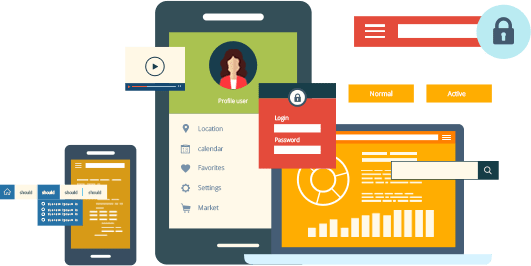 There may be a large list of mobile app development companies in Chandigarh, but how companies which don't have a proper methodology in their work can understand their clients and deliver assured performance. Our mobile application development process begins with a thorough understanding of our customers real needs, which enables us to constructively design and develop app with an appropriate usage of technology and make the rest best. Once our programmers done their job superbly, our versatile QA team takes that forward to ensure your app is error free. Practical tests and your app analysis will be done with high standard testing softwares. We launch your app according to the latest trend to gain maximum user attention. Ink Web Solutions has expert team of Mobile Apps Developers. 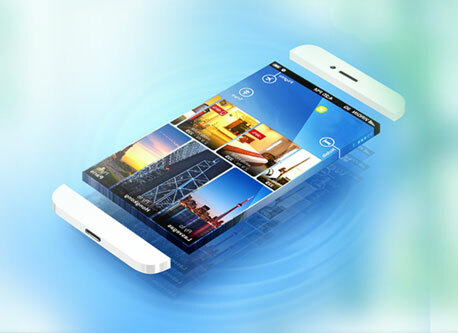 we provide strong customer relationship by our mobile application development services. we alredy developed a wide range of apps for mostly type of industry. we provide full mobile services work with all platforms.our professional and affordable Mobile apps development services are highly profitable. our team of experts first analysis your business from each aspect and according formulated the best appropriate solution for you. Our Mobile Apps Development services help customers across such as Education, Healthcare, Insurance, Marketing and all Financial Services and have implemented solutions across all platforms like Windows Mobile, iPhone/iPad, Android, Symbian, BlackBerry, J2ME, BREW, Palm and Web OS. Chandigarh's Leading Mobile App Development Company ! Ink Web Solutions provides Mobile App Development services in Chandigarh, Mohali, Himachal Pradesh and India. Chandigarh's Most Trusted Mobile App Development Company. A leading low code platform and expert app developers — we give you everything to get a head start on your mobile app, engage your audience, and automate the marketing.